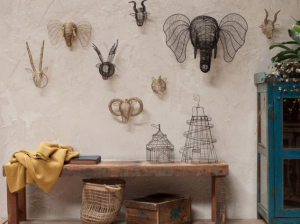 Always looking towards the latest trends in homewares, I’ve noticed that African influence is very ‘in-vogue’ this season. I’m not someone who has a home which is entirely trend-led; we prefer collecting pieces from our travels which evoke memories and spark joy. Even so; it’s still very exciting to see African influences making their way into everyone’s homes. 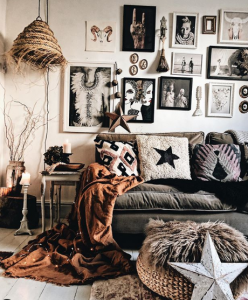 From OKA’s walls festooned with African grass baskets and Ju Ju hats; to Zebra, leopard and cowhide accents everywhere in cushions, footstools and rugs; Africa with its beautiful textures and funky vibe, is definitely on trend. Leopard, tiger and zebra print is omini-present in clothing, and only a couple of weeks ago, ‘The Sunday Times’, ‘Style’ Magazine declared in it’s fashion pages: “Reached your personal leopard apex? Try cow print for size!” Cowhide is hip and happening, guys! So I thought I’d highlight some of the beautiful African-inspired interior ideas I’ve noticed this spring; to freshen up our homes. 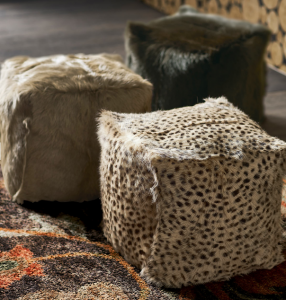 It’s so refreshing that all things natural and textural are all the rage in interiors! 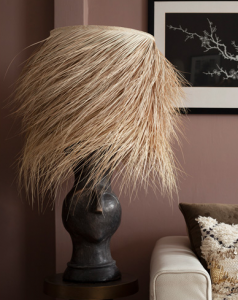 I love the wistful Moroccan, woven-grass lampshades I’ve seen at Rockett St George and on instagram. To me they evoke images of the African savannah: smouldering heat and happiness. In a European home, like @kylamagrathinteriors – see the pic of her living room below, they add a gorgeous boho vibe. 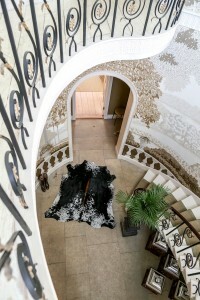 An easy way to freshen your home up for spring and bring it up to date with natural products; is by investing in a rug. A Moroccan Berber rug perhaps? 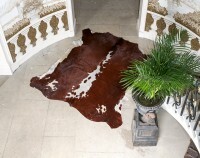 Or if you want to add more impact, I’d go for a beautiful, natural, sustainably-sourced Zulucow cowhide rug. 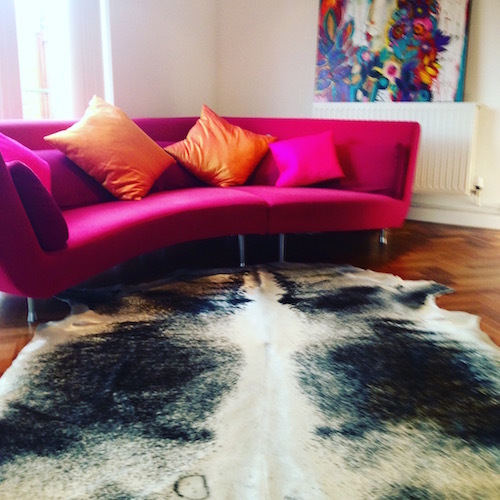 All Zulucow’s cowhide rugs are by-products and have for centuries been valued for their beauty, as well as being socially and economically important to the Zulus. Today they are creating desperately-needed jobs in rural S.Africa and continuing the rich tradition of the Nguni in Zulu culture. I’m extremely proud of the quality and provenance of my rugs. I don’t buy en masse, but carefully select each hide individually for its pristine quality and beauty. 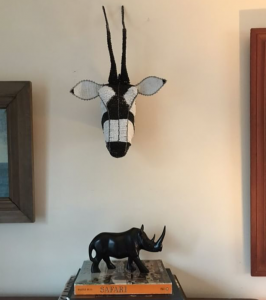 Jo’s smart beaded Beaded Oryx Wall Hanging from Zulucow looking super smart in her Bristol home. 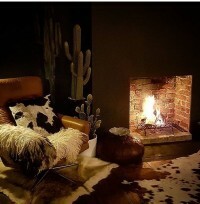 I’d really love to know which Zulucow Cowhide Rug you’d purchase and where you’d put it in your home? 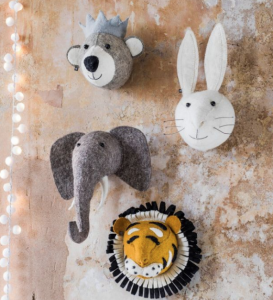 Whatever your style, have fun decorating your home this Spring!